Larry Thigpen goes through boxes of peaches while working at the Hazelrig Orchards booth during Chattanooga Market's Peach Festival event at the First Tennessee Pavilion on Sunday, July 22, 2018 in Chattanooga, Tenn. Hazelrig Orchards is in Cleveland, Ala. Climate change will likely have a devastating impact on the beloved Georgia peach crop as extreme changes in weather could pummel the agricultural industry, according to one of the country's most authoritative and thorough reports on climate change. The Peach State typically generates 130 million pounds of peaches every year, worth in excess of $30 million. However, according to the National Climate Assessment, the changing climate is expected to severely alter growing seasons for the fruit, which relies on steady cold during the winter followed by warmth in the spring and summer. The congressionally mandated report was released Nov. 23 and gives an in-depth look at how climate change will affect the U.S. and its economy. It was published with the help of 13 government agencies, universities, climate scientists and other experts. The 1,600-plus-page report comes as leaders from around the world meet this week in Poland for a U.N. summit. President Donald Trump has rejected a central conclusion of the report on the economic costs of climate change, saying he "doesn't believe it," according to the Associated Press. His press secretery, Sarah Huckabee Sanders, has gone further, calling into question the validity of the findings. A basket of organic peaches is photographed during the annual Peach Festival at the Chattanooga Market on Sunday, July 5, 2015, in Chattanooga, Tenn. But scientists say the warnings are dire. "The report is basically consistent with what scientists have been saying for the last 10 years," said Jonathan Gilligan, an environmental policy and global climate change expert at Vanderbilt University. "It's going more into detail about what the region can think about on how we're going to adjust to these changes that are likely to keep happening." With the exception of California, which produces more than 95 percent of processed peaches, the Southeast dominates the peach industry. 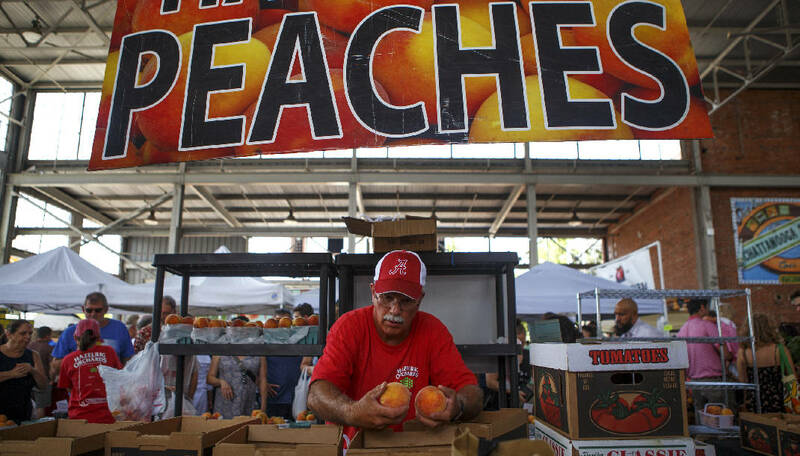 South Carolina typically produces the second-highest peach yield of U.S. states, just ahead of Georgia, which famously boasts peaches as its official fruit. From right, Ben Lee totals a sale while Kathleen Sharpe serves a customer as the duo from Watsonia Farms of Monetta, South Carolina strive to keep up with demand. A late freeze made sure that peaches were a precious item at the market. 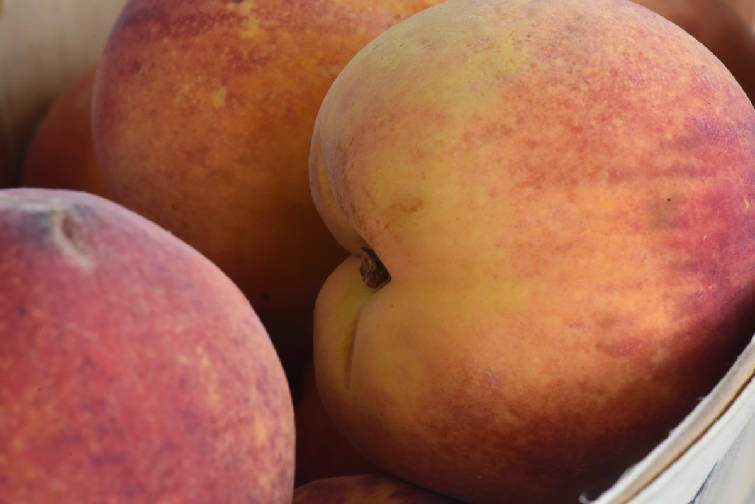 The Chattanooga Market held a Peach Festival on July 7, 2017. A late freeze in March 2017 ruined the vast majority of Georgia's peach crop and caused more than $1 billion in damage to peaches and other fruit crops, the report notes. Climate experts worry that could become a more regular occurrence if nothing is done to combat the problem. Those documented changes in seasonal temperatures will continue to affect regionally important crops, and plants will become less available as the ideal conditions for their growth shift, the report finds. Warmer winters are causing plants to bloom early, but as winter temperatures rise, late season freezes are still common and can ruin the crop. Peach trees require a set amount of chilling hours. They need somewhere between 700 and 1,200 hours of temperatures between about 32 degrees and 52 degrees before they can provide quality fruit. And the crop needs those temperatures to be consistent. When it's too warm, the buds are weak, resulting in low-quality fruit. When it gets too cold, the trees try to protect themselves and aren't able to gain chilling hours. "It's obvious the last 10 years we've been having warmer-than-normal winters," said Greg Reighard, a research and extension horticulturalist with Clemson University's Peach Team. "Without adequate chilling or cold weather, the bud inhibitors of these deciduous fruit trees do not come out of dormancy very cleanly. They come out staggered. We've had three marginal winters in the past five, where chilling has been inadequate for some varieties and causing other varieties to bloom early." The trees are tricked into an early bloom when the temperature is warmer. Then, frost comes in March and April when little fruitlets are beginning to bloom and are least resilient to cold. The cold kills the embryos, but the peaches continue to grow, producing low-quality fruit. The goal of the tree remains to produce the fruit, not necessarily to produce fruit that tastes good to consumers. 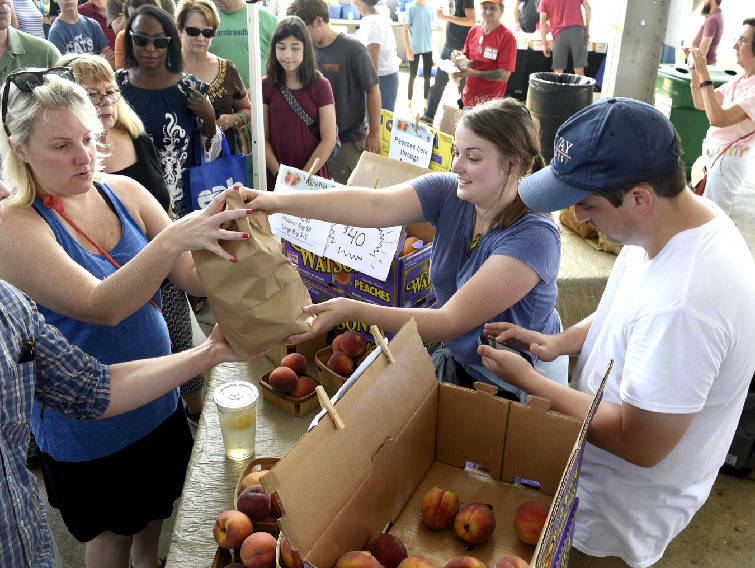 "Trees are really smart, but they can't run away from the environment," said peach breeder and geneticist Ksenija Gasic, also a member of the Clemson Peach Team. Gasic and fellow geneticists are now tasked with adapting fruit to the warming climate. If they can genotype peaches that require less chilling hours and can bloom later in the season, they could protect the crop. That would allow the trees to bloom during more favorable conditions. This work is noted in the National Climate Assessment as a potential solution to combat climate change. The group is developing DNA tests that show which buds need low chilling hours, which need average chilling hours and which need a high number of chilling hours. Once that is done, they can then breed buds that require between 500 and 700 hours, tailoring the new varieties to a changing climate. "I knew that climate change was happening," Gasic said. "I needed to control the chilling requirements. I needed to breed for something that was about 600-700 chilling hours. At that time, that was about the time we knew we could get easily. Now, in the last few years, even that is becoming an issue. We did not realize how big of a problem the heat requirement would be, because the winters were not cold enough." However, the ability to successfully do that on a wide scale may be years away. For now, the problem remains bigger than any workable solution. "Yes," Gasic said. "But we're trying to solve that."